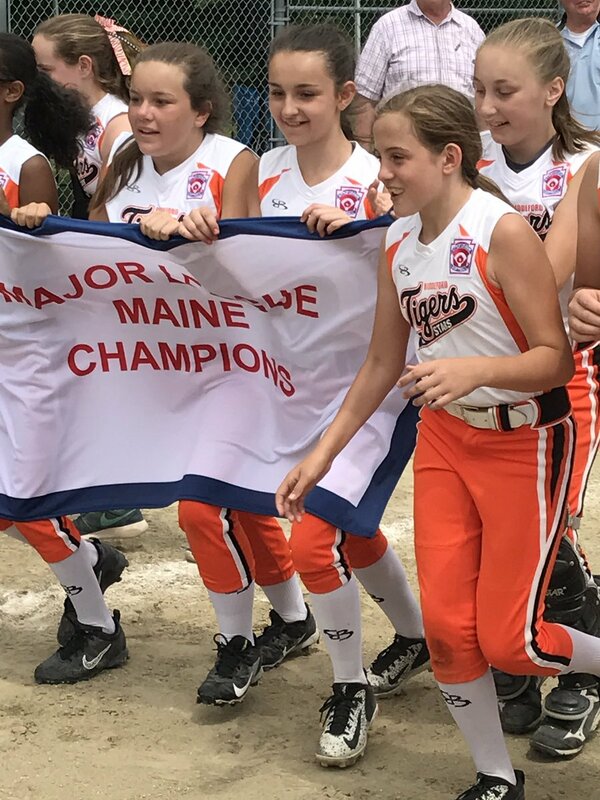 THE BRUNSWICK U12 All-Star Softball team finished as the runners-up recently in the Maine State All-Star Babe Ruth Softball Tournament in Bridgton. Brunswick tallied wins throughout the weekend until ultimately losing, 8-7 to Andy Valley in the final game. Back row, left to right are Logan Brown, Abby Sharpe, Mia Klimash, Riley McCallaster, Cially Charbonneau, Sarah Johnson and Kelsey Sullivan. Front row left to right are Mia DeSantis, Morgan Foster, Ellie Sullivan, Hailie Lord, Sophia Morin and Bri Campbell. BREWER — Over the weekend, the Panthers 16U softball team, comprised of players from Medomak Valley High School, won the Maine USA/ASA state softball championship in Brewer and went 4-0 in tournament action. Class A teams, comprised of travel ball squads, included the Lady Hurricanes, Maine Explosion, Maine Revere, Screaming Eagles and Team Attack. Class B teams, comprised of school-based teams, included the Eddies, Old Town and Bangor, in addition to the Panthers. Head Coach Richard Vannah stated: “I'm very proud of these girls. We were behind in all four games and they fought hard every step of the way to win it. It says a lot about their character."
. Fort Fairfield topped Presque Isle 5-4. Central Aroostook, Ashland, and Caribou also competed in the event.